Good afternoon! It’s the first Monday of the month which means it’s release time for the April My Monthly Hero kit from Hero Arts!! 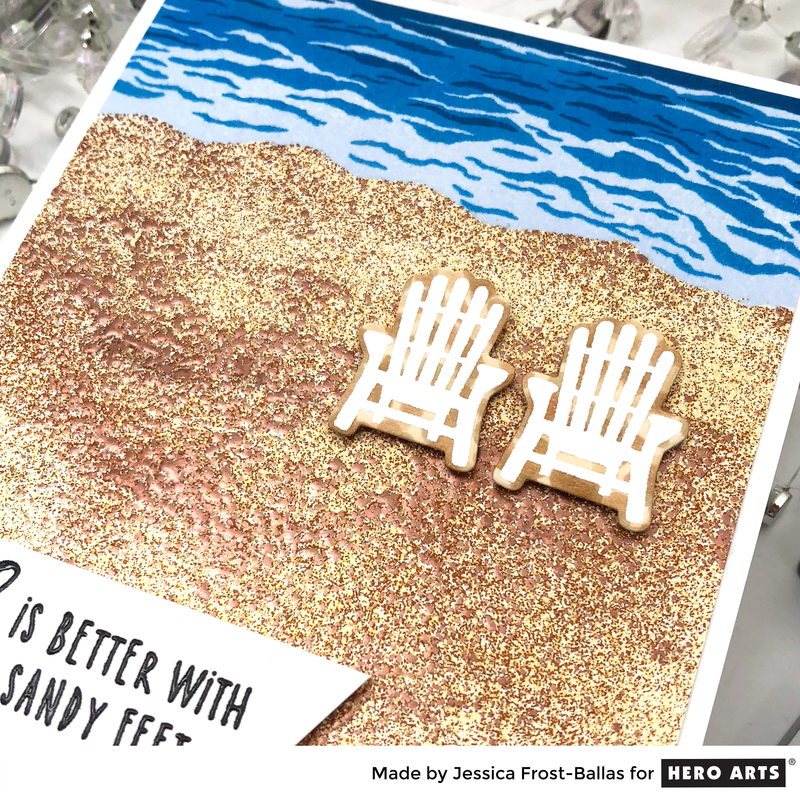 The April kit is now available for purchase at Hero Arts but once they’re sold out, they’re gone for good so make sure to head over and shop soon! The kit value is $93, an amazing deal at $34.99! 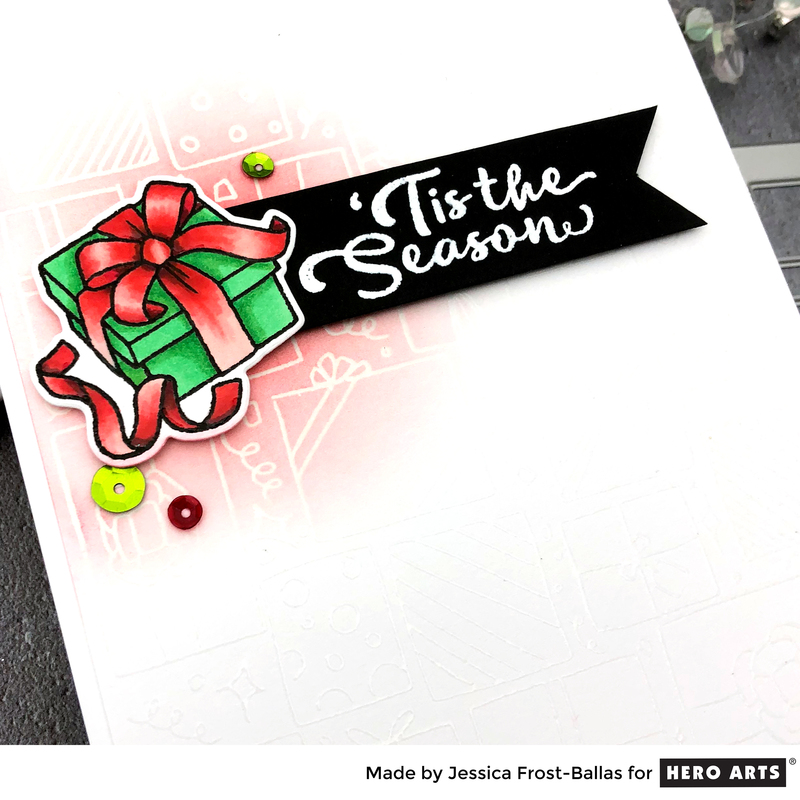 And today I’m sharing a card using one of the add-on dies, Tree Arch! I’ve always been a sucker for a night sky and I thought this die would provide the perfect frame for a romantic card! To start I die-cut the Tree Arch die with black cardstock and silver glitter cardstock. 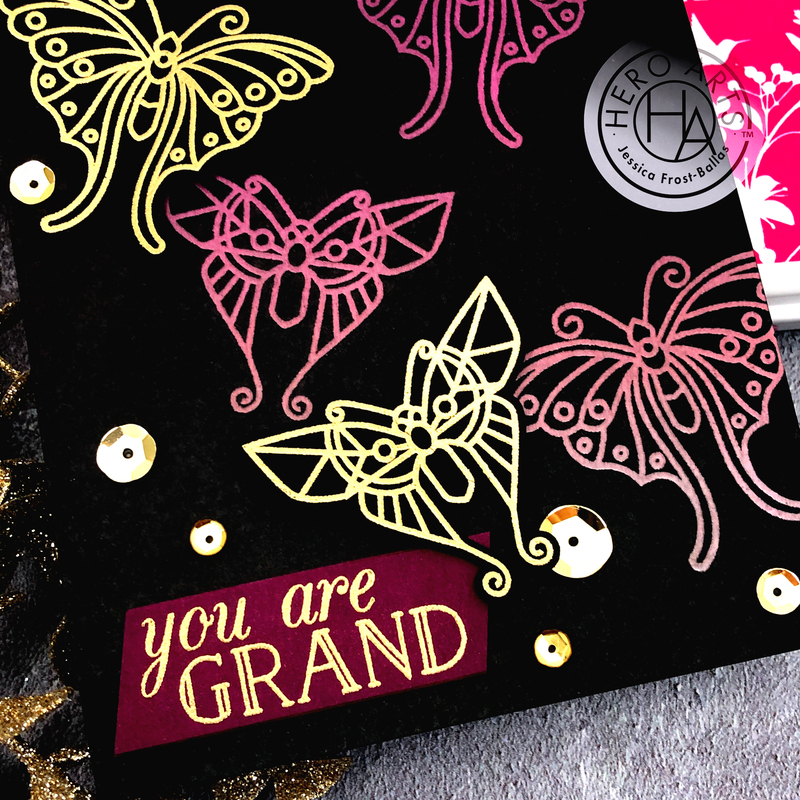 I stamped the sentiment from the kit onto the black cardstock and heat-embossed it with white embossing powder. Then I adhered the trees together with a slight overlap so the silver would peek through! Next I blended distress oxide inks in black soot, chipped sapphire, and peacock feathers onto a piece of white cardstock. I splattered it with water and white paint to create a night sky full of stars. I also die-cut a circle, blended a little pumice stone distress oxide ink onto the bottom of the circle, and splattered it with white paint. While the paint was just a tiny bit damp I blended more pumice stone over the circle and the splatters seemed to hold the color more easily resulting in a more realistic looking moon! I adhered that behind the tree arch and then adhered the tree arch to my blended background to finish the card! I went for a romantic moonlit night but you could easily change up the colors and create a sunny daylight card or a vibrant sunset or sunrise! Jessica Frost-Ballas —> You are here! Thanks so much for visiting and enjoy the hop!! The deep color contrasts you’ve created are fantastic! Great new release from Hero Arts. Love that tree die! Thanks for sharing! Such a beautiful set! And the night time trees are fabulous! Pretty Cards.. thanks for the inspiration! Your night sky is stunning! What a great release. Your cards are really pretty! I love these two cards. I especially like how you added flowers to the first one. The tree die set could be used to make so many lovely scenes. So excited for this card kit release and the add ons. Wow!! I love these! This looks like an awesome set!! Your your cards are stunning! The scenes in both are beautiful! So creative! I LOVE the night scene! 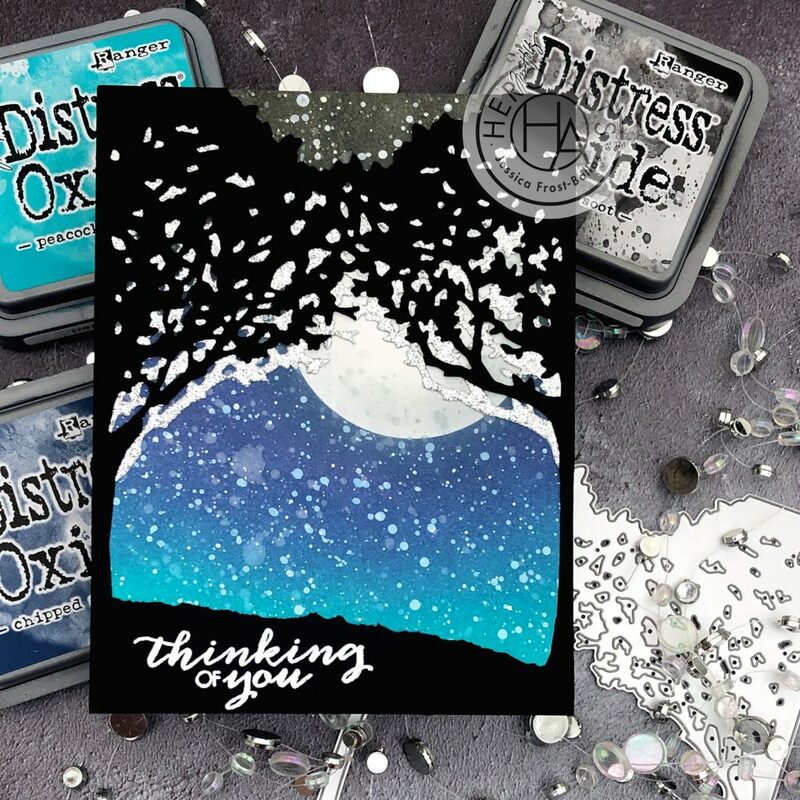 Two amazing creations, love how you used the main kit, and how gorgeous is the second card with the tree die!! Thank you for the wonderful inspiration! Thanks for doing a card with the tree die. It’s lovely! See? I wasn’t going to need THIS DIE. Now look what you’ve done. Good way to show that the add ons can be used not just for scenes from Italy. Well done. I was lucky enough to go to Venice many years ago. This release brings back so many memories. 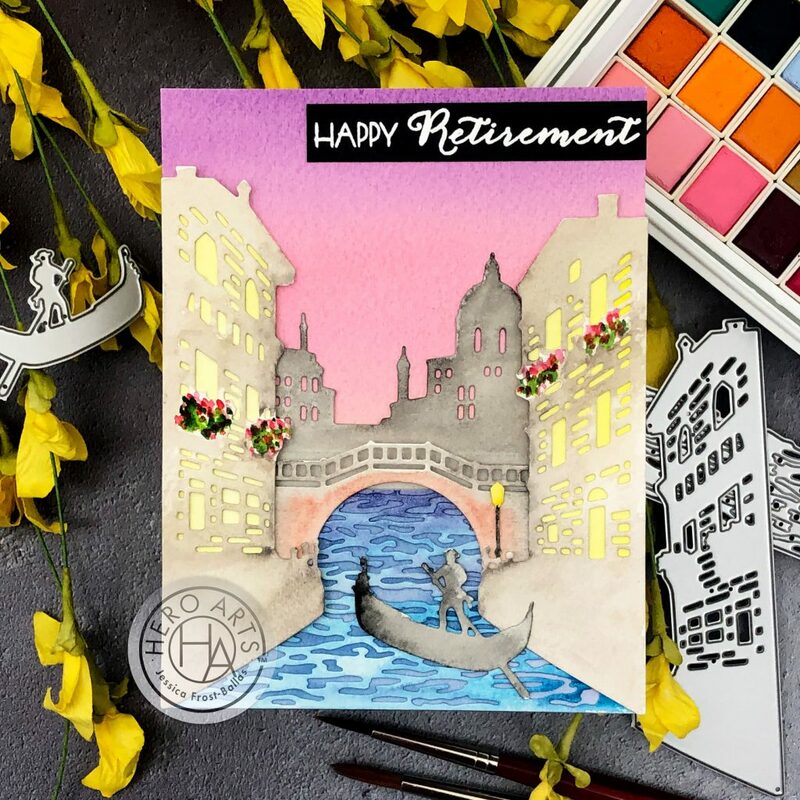 Wonderful cards – bring the trim to life. Great cards! Lots of stuff in the kit. Oh my goodness, what a delightful set! So reminiscent of a trip to Venice long ago. I just ADORE this set! Terrific cards from this interesting kit! 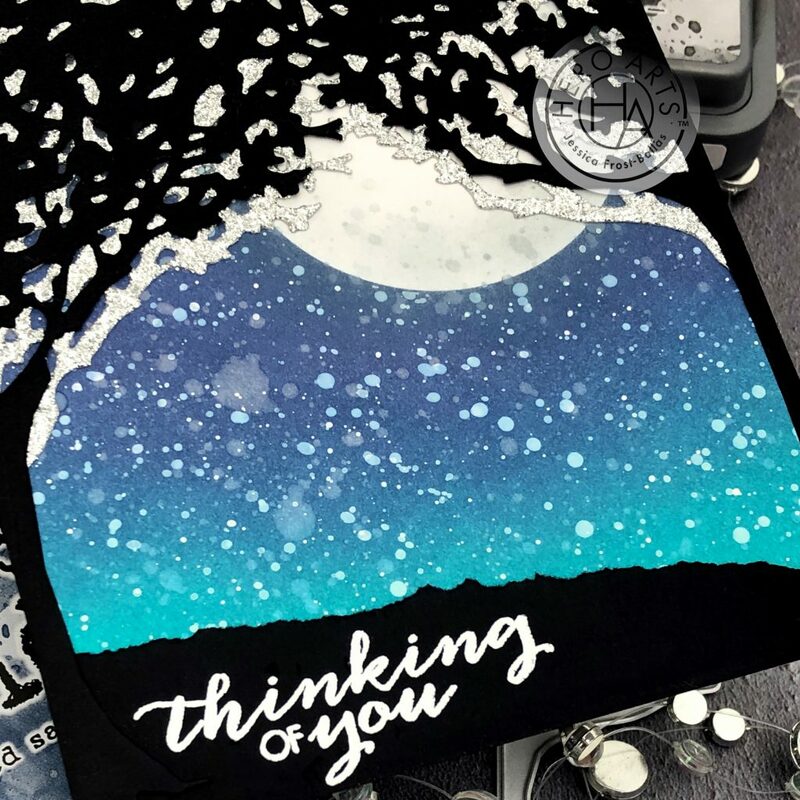 Love your night sky with that big moon! The moon is so realistic. Perfect use for the tree arches die. Thanks for the inspiration!